Amatul-Wadud wants to represent working families and underserved voices. 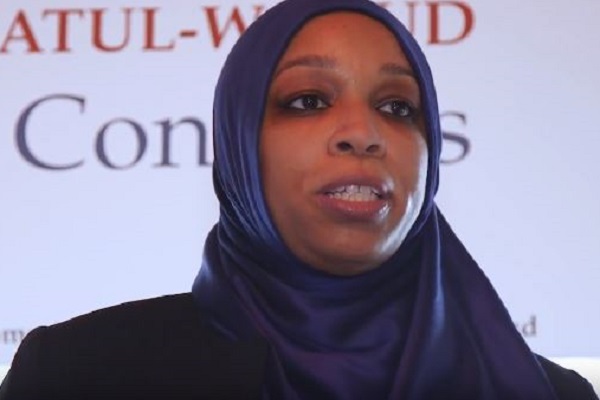 Tahirah Amatul-Wadud, a Springfield attorney, decided to compete for Congress as she felt hopeless with the present state of affairs in the United States. She is trying for the First Congressional District in Massachusetts. Her competitor is Representative Richard Neal. They will face each other in the Democratic primary scheduled on September 4. Political pundits believe that the subsequent general election will favor House Democrats. Amatul-Wadud's words were in resonance with her intended target audience. Many have expressed their frustration with numerous tries to improve the infrastructure holding together Western Massachusetts. Others have tried multiple solutions for keeping the young and the hopeful in Berkshire County. Amatul-Wadud said she intends to break this ennui and represent the working families and underserved voices. She directly told the assembled audience at the Berkshire Athenaeum this status quo does not serve the common people. She alleged that the system is not designed to help the common people, it was made to favor the elite. Amatul-Wadud, who is a mother of seven children, said that the near surety of a Democratic victory in 2018 had enthused her opponent to win. If Neal does that, he may play a senior role in the leadership of the House. She said career politicians should not be given preference over other progressive candidates. These tensions have become a similar feature in the Trump administration. The present sees deeply entrenched career Democrats having conflicts with an increasing number of voters making their preference clear for progressives. A record number of voters have registered themselves for Primary races all around the United States. Further muddying the water are those new to politics but dedicated to representing their unique demographics for high visibility. Amatul-Wadud falls into this category. According to her, she runs for Medicare which should be given to everybody, criminal justice reform, and universal internet access among others. She said an absence of high-speed Internet is creating a learning gap. Information not accessed in time for writing research papers can hurt higher education chances. The event organized by Indivisible Pittsfield saw about 50 attendees. It was held to educate voters. They held similar talks with Democratic gubernatorial candidates who challenged Governor Charlie Baker. Amatul-Wadud’s opponent, Representative Richard Neal, will receive the same invite.